Consider This: Turn Around, Don’t Drown! On What Rock Did Christ Build His Church? What’s on Your Golden Record? Can you confirm the validity of the Bible by taking specific prophecies and determining if they have been fulfilled exactly as written? What is prophecy? “The foretelling of future events, by inspiration from God. … A true prophecy can come only from God; and is the highest proof of the divine origin of the message of which it is a part” (American Tract Society Bible Dictionary). Based on this definition, a large chunk of the Bible qualifies as prophecy. There are 16 named prophets who authored Old Testament books: Isaiah, Jeremiah, Ezekiel, Daniel, Hosea, Joel, Amos, Obadiah, Jonah, Micah, Nahum, Habakkuk, Zephaniah, Haggai, Zechariah and Malachi. Moses, the author of the first five books of the Bible, is also called a prophet (Deuteronomy 34:10). King David had a seer or prophet by the name of Gad (2 Samuel 24:11). Nathan the prophet confronted David over his sin with Bathsheba. And there were others—Ahijah, Jehu, Elijah, Elisha, Shemaiah, Oded and Samuel—who were identified as prophets. Some scholars estimate that a third of the Bible is prophecy. How could a human being predict future events and have them fulfilled exactly as he said without God’s involvement? In this article, let’s take a look at just three of the estimated 2,500 prophecies in the pages of the Bible and determine if they were indeed fulfilled. Here we have a very specific prophecy reported by Jeremiah that gives a length of time for the Babylonian captivity of the Jews and the desolation of the land. This should be fairly simple to prove one way or another. What about the 70 years of desolation of the land? Around 586 B.C. King Nebuchadnezzar destroyed Jerusalem and the temple built by Solomon. After the destruction of the city, he took more of the Jews into captivity. This can easily be confirmed by history. Around 586 B.C. King Nebuchadnezzar destroyed Jerusalem and the temple built by Solomon. After the destruction of the city, he took more of the Jews into captivity. Most dates from this period of time are difficult to nail down exactly, but historians agree to the range of 587-585 B.C. for the destruction of Jerusalem. And the date of 586 B.C. is the most widely accepted, which would place the conclusion of 70 years as 516 B.C. What happened in 516? According to historians, this is the year that the rebuilt temple was dedicated. Finally, after 70 years, the Jews once again could sacrifice and worship at a temple in Jerusalem. But some will say that this prophecy was written after the 516 date. Is that true? There is solid historical evidence that Jeremiah wrote his book years before the dedication of the second temple in Jerusalem. In the New Testament we read of a group of wise men who came to Herod looking for the Messiah. After they left Jerusalem, Herod gathered the experts to ask where the Messiah would be born. They quoted Micah’s prophecy, declaring that the Messiah would be born in Bethlehem. “And when he had gathered all the chief priests and scribes of the people together, he inquired of them where the Christ was to be born. So they said to him, ‘In Bethlehem of Judea, for thus it is written by the prophet’” (Matthew 2:4-5). 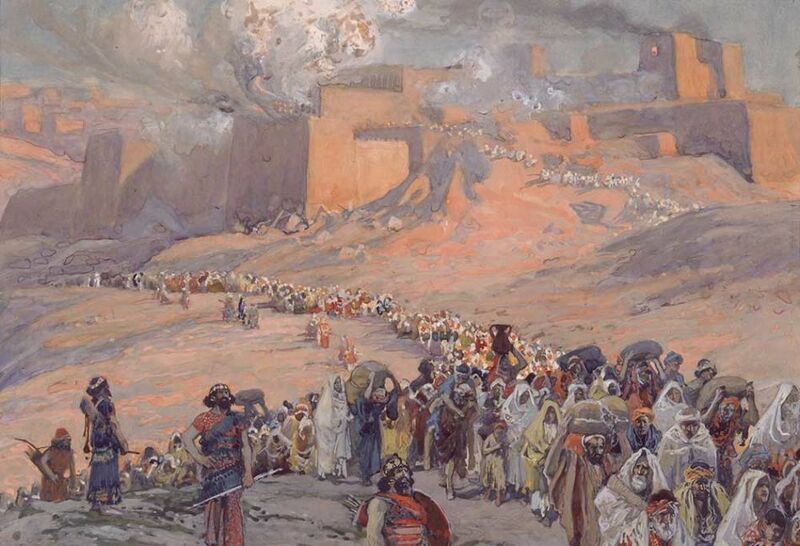 Micah wrote his prophecy around 700 B.C., and the events recorded in Matthew took place in 4 B.C. Notice the string of events that had to occur to fulfill this prophecy. When an angel told Mary she would give birth to the Messiah, she was living in Nazareth (a city in Galilee) and betrothed to Joseph (Luke 1:26-27). As she approached her due date, Joseph took her to Bethlehem, a city far from Galilee. Since Mary and Joseph lived in Nazareth, the odds of them being in Bethlehem for Christ’s birth were quite small. This was a direct fulfillment of Micah’s prophecy and further proof that the Bible is true. Isaiah wrote in the eighth century B.C., but Cyrus was not born until the sixth century B.C., approximately 200 years later. How could Isaiah name Cyrus before he was even born? History records that Cyrus the Great was the founder of the Persian Empire. He reigned from 559 to 530 B.C., during which time he united the Medes and the Persians into a formidable world empire. He was a warrior and fought many battles, but one of his most famous was the conquering of the city of Babylon, which was thought to be impossible because of the thick walls that surrounded the city. Isaiah’s prophecy was very specific, even mentioning the double doors and gates that would “open before him.” All of this around 200 years in advance! Isaiah went on to prophesy that Cyrus would permit the Jews to return and rebuild Jerusalem. Consider the fact that when Isaiah wrote about this, the Jews were not even in captivity and Babylon was not yet a major world power. Isaiah 44:28: “Who says of Cyrus, ‘He is My shepherd, and he shall perform all My pleasure, saying to Jerusalem, “You shall be built,” and to the temple, “Your foundation shall be laid.”’” The fulfillment of this prophecy is recorded in the books of 2 Chronicles and Ezra. What an amazing fulfillment of prophecy! And so specific! In 2 Timothy 3:16 we read that “all Scripture is given by inspiration of God.” Only God could have provided the Old Testament prophets with the inspiration to write prophecy and then have it come to pass. Just imagine the series of events that had to happen for Cyrus to be born, become the king of Persia, conquer the greatest city in the world (Babylon), and permit the Jews to return to Jerusalem to rebuild the city and the temple! These are only three of many prophecies found in the Old Testament, but they illustrate an important principle: The Bible is the authentic Word of God! It is true! Next time we will explore the internal evidence proving the Bible is true. Keep in mind that the Bible as we have it today consists of 66 books, written by approximately 40 different authors over a period of about 1,500 years. It would seem highly unlikely that this many authors could write over such a long period of time with a simple, consistent message without God’s involvement.